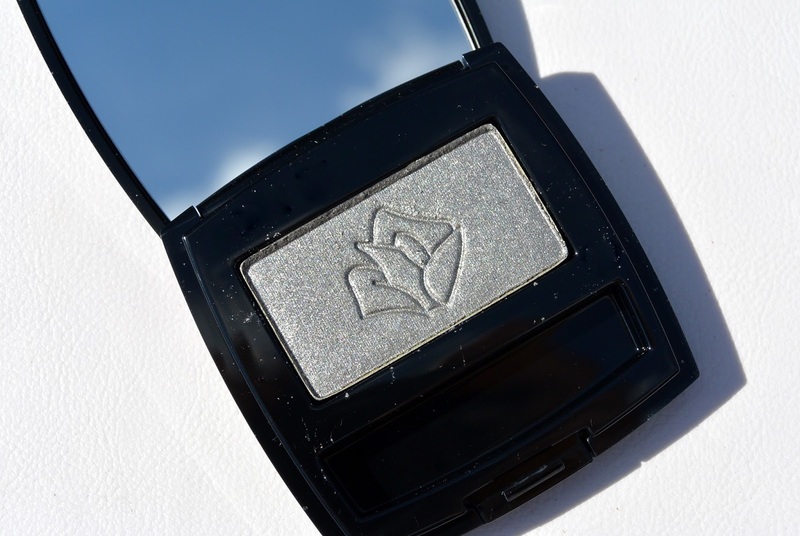 One of the mono eyeshadows that I adore is the Ombre Hypnose - Erika by Lancome. I love this mono eyeshadow because it is more than just an eyeshadow to me. I'll tell you more about it in this blogpost. Ombre Hypnose is a very known product in the Lancome assortiment. The eyeshadows lasts a long time and gives a very good pigmentation. 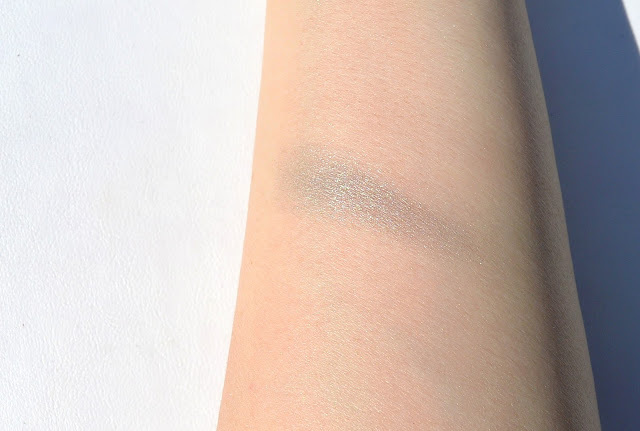 As you can see the mono eyeshadow comes with a small eyeshadow brush. I prefer to apply it with my own makeup brushes but this applicator might come in handy when you're on a holiday and you don't want to take all your brushes with you. 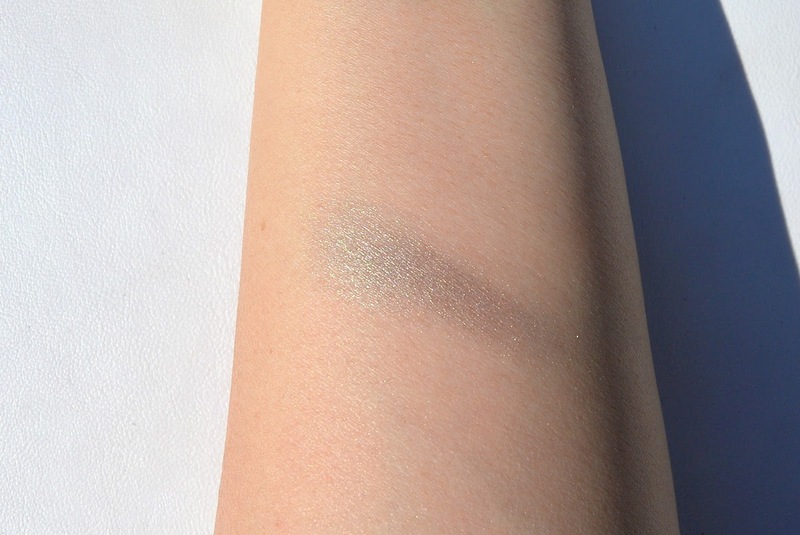 I took two pictures of my swatch because the light comes in differently on both pictures. As I said this eyeshadow is more than just an eyeshadow to me, I like to use it as a highlighter for some looks too. 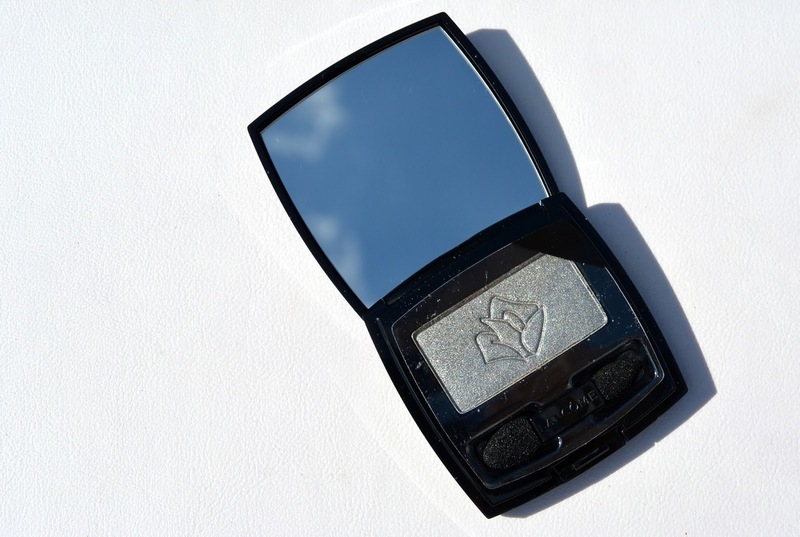 The color has a nice glow, is not to coloured and is a perfect highlighter for the inner corner of your eyes. Do you also have eyeshadows that you use for other goals?